When you want to find out what is going on in the world, probably, you do not turn on TV or radio. In the biggest part of cases, people open some news-oriented websites in order to find out what happened during the day. Some of them are extremely popular. They are dominant players in the game. They get lots of visitors every day. Here we can talk about CNN, The New York Times, and many others. Do you think that it would be great to stay in one line with these masters of news? Do you want to create a news-related website or online-magazine? In this case, you need something special. In this article, we are going to speak about the most amazing WordPress themes that will assist you in creating a website of your dreams. When combined with your unique and eye-catching newspaper content this professionally looking magazine WordPress theme will shine with style. The theme comes with a flexible advanced options panel, allowing a user to customize the theme quickly. The easiest and fastest way to build your website, one click imports pages, posts, sliders, widgets, theme options and more. You can modify your website with the easy to use front-end Visual Composer which lets you see any layout and design changes in real time. Not a just WooCommerce plugin, the theme comes with a trendy design integration for your online store. You can change and modify all the website colors based on your own choice, choose the colors you love the most. Portus magazine includes a Mega Menu built into the theme which is perfect for large menus. It has gorgeous homepage demo variations, all with different features, ideal for any business. The theme helps your beautiful and useful content to stand out on the screen. With this magazine WordPress theme, your online portal will be quite responsive to all mobile devices. The theme comes with a review engine that allows you to create a starred review of the product's features. Portus is the premium WordPress theme that doesn’t make you do anything, and it lets you do everything. You definitely need this all-in-one multipurpose template in case you are interested in creating online-magazines or blogs. It has 10+ demos and each of them can be installed in one single click. Among their topics, you can find the following ones - fashion, sports, lifestyle, traveling, and others. There are also different single post layouts, blog styles, and listing variants. INFRA WordPress theme has a beautiful design and is an ideal for magazine, newspaper and blog website. You can personalize your premium theme by choosing among the six functional looking layouts and choose the perfect design that represents your magazine website in the best way. The theme is designed based on unique design and clean layout principles which will help your magazine homepage to stand out. This WordPress theme will improve your web page and attract more visitors. Choose from a list of some beautiful fonts supplied via Google Fonts. This theme is WPML certificated, offering multilingual support for all its customers and has a dazzling and well-organized design that should provide a timeless foundation for your magazine website. This theme is easy to use and equipped with the most modern theme features. INFRA also uses Visual Composer as a page builder. With this plugin, you can easily modify existing content and create a modern homepage. The INFRA theme is perfect for a newspaper, blog or magazine websites. With all those features and their support, you cannot go wrong. It’s an INFRA theme that puts the visitor focus right where it belongs: on your content. Gadgetine is one of my favorite magazine WordPress themes and it clearly shows all effort the author has put into it. The theme You can use for gadgets, computers, an extreme sports magazine or any other multipurpose magazine website. After installing Gadgetine, you can access many style options to customize your homepage design. The options panel allows you to build a website that matches your style and vision. The premium and bestseller theme is compatible with the latest and modern SEO techniques and helps you to boost your content higher in search results. This theme is intuitive, superlative and extremely. The WPBakery’s Visual Composer gives you powerful customization options . Additionally, the theme Orange admin panel has detailed documentation for every option. WooCommerce plugin allows you to use one database for multiple online shops for quicker management. BuddyPress helps you build any community website using WordPress, with member profiles, activity streams, user groups, messaging, and more. 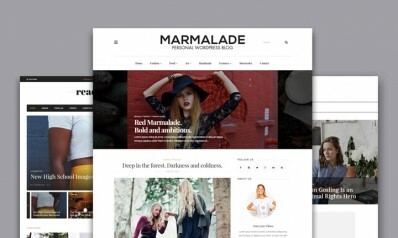 If you have the content to match, then this powerful premium theme has a lot of offer. The most important: you gonna love the ease of use. There are many people who are interested in technology news. In order to share the most popular ones and gather all like-minded people in one single place, pay your attention to this easy-to-use template. It offers lots of high-quality tools and plugins that allow adding the latest technical news, guides, reviews, and trends to your online-project. There are also many relevant images that will make your website become even more attention-grabbing. Allegro is a flexible WordPress theme that comes with the famous, outstanding, innovative and fully responsive mobile design well suited for magazine, blog or newspaper website. This WordPress theme will unquestionably improve your site and attract more visitors. It has a very simple, classic and contemporary design, which makes your visitors easier to find the information you need. Create mega menus or normal sub-menus at the same time, choose mega menu layout with or featured posts. The theme is full of widgets, and interactive buttons, like every newspaper or news site, should be. Developers are made this theme ideally suited for your magazine, blog or newspaper websites. Allegro is also ads ready premium magazine theme, banners or ads you can add from customizer or ads widgets which is included in the theme. Take your magazine to the next level, with Allegro. A top-notch template that allows creating an effective and fully-fledged website. It has a fully-responsive design, intuitive interface, impressive artwork, and fully-adjustable looks. You will also get amazing social network support that allows promoting your website all over the web. Do not forget to use such powerful instruments as various dynamic pages and widgets. Make the most out of your online-project by means of this excellent template. Its one-click installation will save you lots of time. 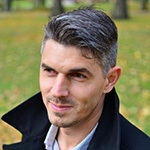 In addition to this, an amazing Elementor Page Builder has everything you need to shape the appearance of your website. In order to catch more attention of your target audience, take advantage of the marvelous Revolution Slider and encourage people to read more. Quadrum is a stylish WordPress theme that comes with the flexible, visually stunning, perfect and entirely responsive design well suited for magazine, blog or newspaper website. It comes with an outstanding, trendy and innovative design and if you are using a cell phone, small tablet, or desktop computer, thanks to ultra sharp retina design elements the website will still look sharp, and each item of this super leading theme is retina-ready and would look spectacular on high-resolution screens. Encourage your readers by using Quadrum’s mega menu. Let your visitors explore your homepage content effectively. The Sliders that you can create for your website made by the flexible LayerSlider and Revolution Slider plugins. You can use the theme for magazine, newspaper, blog or any other creative and eye-catchy style website. The theme is very flexible, and it gives you to run various types of convenient features and functionalities. Every aspect of the Quadrum theme can easily be customized without any coding knowledge thanks to the WPBakery Visual Composer plugin which provides an innovative drag-and-drop interface, and you’ll also have access to the popular Visual Composer page builder plugin to help you modify your website layout and build it from scratch. Get awesome Quadrum today. A minimalist template that can be used to share corporate and financial news on the Internet. Its mobile-first design is an indispensable part of your online-project. It makes it possible for potential readers to get familiar with your posts using both smartphones and laptops. Furthermore, there are seven blog layouts and ten single post variations to choose from. 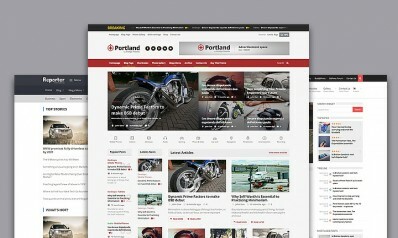 If you are looking for an entirely designed, highly flexible and fully responsive WordPress theme for your magazine website then Portland is an ideal choice for you. The magazine theme is fully responsive for showing your website on small tablets and other cellular phone devices. Portland comes with a classic design and clean typography by default, and you are still able to customize it and make unique. Portland includes the mega menu in which you can insert latest category posts or any other widget that you want as well as add links to social media profiles on Facebook, Instagram and Twitter pages to build your following faster. This Portland is built with the latest web development technology and fully integrated with advanced tools that make theme customization very quick and easy. The Portland is quite prepared to handle all sorts of blog or magazine websites. This premium theme is packed with a large and nice looking mega menu to give your magazine main navigation area a lot more style and more functionality. Additionally, this premium theme has drag and drop builder to create a gorgeous website for your requirements. Try beautiful and carefully designed Portland today, you won’t regret it. Respublica is a versatile, powerful and responsive theme designed for a news magazine website. It is one of my favorite WordPress themes, and it shows all effort the author has put into it. Look what you will get with this awesome theme. The theme is packed with an admin panel which helps you to customize every detail of the layout. You can set the layout, colors, typography, fonts, footer text and several other settings using the orange themes admin panel. Magnificent One click demo import to get the main website files, sliders, modules, layouts, and even widgets very fast. The new shortcodes are perfect for implementing tabs, buttons, and other elements, all without having to touch a line of source code. Hundreds of Google fonts let you customize website appearance completely, they are easy to add, and You can use it anywhere. Also, You can use ads on the site and earn more. It is a very clever codded theme that loads super fast and delivers content to the users before they wait for seconds! And the most important: you will love the ease of use. Overall, the Respublica WordPress theme is filled with features for your next news magazine website. Overall, a great design with an easy-to-follow and interactive appearance. The Benavente WordPress travel theme is perfect for travel, lifestyle or adventures websites. Benavente is utterly responsive for viewing on tablets and all mobile devices. The theme packed with many useful widgets, and there are "one-click install" feature, that allows you to build your blog within minutes. Just click on button and theme do the rest. After all necessary plugins installed, you can use powerful Page Builder which is built by Orange Themes team. This is simply Drag&Drop feature that allows you to create your custom homepage layout. This is very easy to use. Go anywhere, with gorgeous Benavente. Reporter news WordPress theme has a very clean and contemporary design and is a good choice for magazine, newspaper and blog website. The well-made theme layout and design are entirely responsive and include additional elements for viewing in mobile portrait or landscape mode. The Reporter comes with a classic design and typography by default, yet you are still able to customize it and make unique. Every element and module in WordPress theme design intended to increase the number of page views that you will receive. This theme is packed with a user-friendly, very easily customizable, mobile-friendly Mega Menu that improves the navigation of your site and helps homepage visitors explore your website with ease. The Reporter theme comes with support for stylish Google fonts. 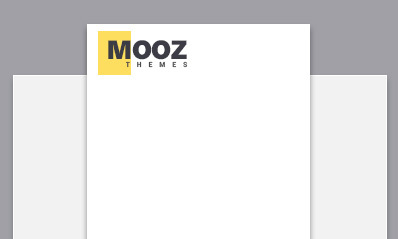 In the powerful MOOZ themes admin panel, you can easily customize the font family and size. Every single element has its shortcode, as customers can implement it on any page. This theme offers various types of widgets which allow you to create malleable and beautiful website site. Packed with a handy Visual Composer plugin that gives you complete control of your page useful layouts. The Reporter theme is ideally suited for a magazine, blog or newspaper websites. Feel free to contact the Reporter developers support staff, and they are eager to resolve any problem. Get gorgeous Reporter today. MaterialZine is a sleek and modern WordPress travel blog theme that does a great job displaying rich content while at the same time avoiding the feeling of over-saturation. MaterialZine’s colors are toned down but still delicious, and its style is bold but still, leaves room to breathe. The theme creates a truly engaging experience by saturating the screen with your beautiful photos. It also comes with a review system to allow your readers to leave feedback on the content of the site. Thanks to its responsive design, the layout restructures to best suit whatever device it is. If you are a travel blogger looking to showcase your traveling experience, or if you are a blogger looking to give your visitors a fun new way to browse your latest posts, then MaterialZine is an excellent choice for you. 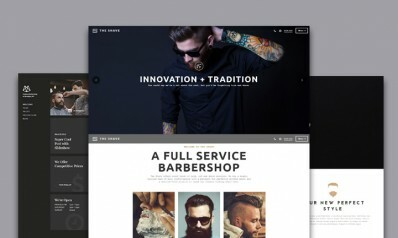 TrendyBlog is a stunning, powerful and mobile responsive theme designed for any niche magazine. Overall, a great design with an easy-to-follow and interactive appearance. Every element of this fast leading theme is mobile devices or retina-ready and would look spectacular on high-resolution screens as well. With a variety of 3 modern looking custom homepage styles you have many selections in customization and set up any catchy layouts you can imagine. It comes with a classically designed layout which is suitable for a magazine web page. Create wide mega-menus or normal sub-menus at the same time, choose mega menu design with or featured posts. This theme is easy to use and equipped with the most innovative theme features. This WordPress theme is exclusively created for newspaper or magazine website. This premium theme comes with various types of versatile components for the innovative Visual Composer plugin, which enables you to drag-and-drop web page modules or creates your designs. 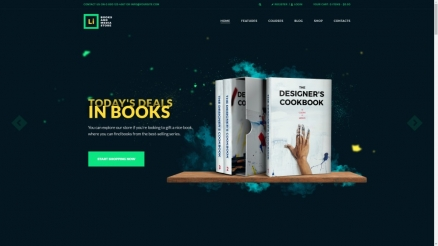 The magazine theme lets you sell your digital download products online as well, as it comes with contemporary WooCommerce integration and an awesome online store section and the theme is built on the innovative WooCommerce with convenient options and original online shop layouts. Be sure that your website will rank great in search engines. TrendyBlog - every little bit counts. Newspaper is an unimaginably pliable and experienced theme for magazine or newspaper WordPress websites. With improved and unlimited customization possibilities, Newspaper is designed to perform responsively on every small screen device. You can manage every element on your website using a well-structured configuration panel. From it, you can choose the site’s colors, typography, language, and encourage your readers to navigate with ease through the excellent mega menu. With the Newspaper theme, your website will look amazing. Using the front-end tagDiv Composer page builder with its drag and drop functionality, creating pages is a piece of cake. This template comes bundled with the premium Revolution Slider plugin and is also compatible with popular plugins like WooCommerce, bbPress or BuddyPress. With Newspaper, you can create with ease a magazine, blog, or news website since it’s equipped with the most innovative and versatile features like the custom widgets, newsletter subscriptions, review system, intelligent ad system, video playlists, and much more. NewsTube is another excellent, versatile and eye-catching, stylish WordPress theme with flexible customization possibilities for newspaper or site website. Having a just one click, you get ready to use website just like the one you see in demo preview. The most popular shortcodes are terrific for implementing buttons, tabs, and other parts, all without having to touch a line of source code. The powerful yet easy to use advanced control panel can allow you to customize every detail of this layout. You can put the typography, fashions and many other settings using the admin panel. The WPBakery's Visual Composer offers powerful customization choices. On Top of that, the theme also includes a widgetized footer and sidebar, what gives you more space for content. You can build an e-shop using the present day WooCommerce plugin without any issues since the premium theme is WooCommerce ready. The slider provides as for a significant amount of content, and it comprises animations to keep the interest of your visitors. This theme includes a number one, responsive, retina ready mega menu that improves the navigation of your site and helps homepage traffic explore your page quickly. With an intuitive, flexible, sleek and carefully smooth interface and modern theme options, you can instantly make an elegant website working with this minimalistic WordPress theme. Theme that can be used for magazine, blog and newspaper website. The premium news theme has excellent retina monitors support so that it will look great on all retina devices (modern Apple, Lenovo or Dell displays). Legatus works stunning on any size devices helping, your visitors view your content using small tablets, cell phones or desktop computers. Minor complaints aside, Legatus has a very accurate and trendy design. You can quickly change the colors without any extra effort. Powerful and user-friendly Mega menu control panel has been included in the theme package, and with over 600 fonts from the Google library along with the default system fonts, you can choose what you want and use it where you want on your homepage. The theme has been designed from the ground up with translation in mind. It comes pre-packaged with a .po file containing all of the theme’s text strings, ready for translation. Every single element has its specific shortcode, as customers can implement it on any page and it has a simple, very classic but professional design, which helps to find the content your visitors need. It allows you to highlight specific articles on the homepage, and to improve readability with efficient use of photography. Legatus also fully supports WooCommerce with its beautiful and trendy design so that you can build your online shop with only a few clicks. Every aspect of the Legatus premium theme can easily be customized without any coding knowledge thanks to the modern and latest WPBakery Visual Composer plugin which gives you an opportunity to configure layout using a drag-and-drop interface. The shortcodes provide carefully polished buttons, clear infoboxes, and other useful elements, all of which can be created without touching a single line of code. This WordPress theme is exclusively created for magazine or newspaper website. With all those features and their proper support, you cannot go wrong. Legatus - every little bit counts. Hotmagazine is a lustrous WordPress theme that comes with the bright, sophisticated, sleek and portable responsive design well suited for magazine, blog or newspaper website. This WordPress theme is a visually stunning, yet visually striking, carefully designed, innovative, well made, malleable and catchy theme. If you are using a cell phone, tablet, or notebook, thankfully to versatile retina modules and elements, the content will still look sharp. You can pick out of 2-4 demo layouts and locate the best one to talk about with your vision. Hotmagazine includes a traditional design and typography automatically, yet you are still in a position to customize it and also make unique. The slider provides areas for many articles plus it provides animations to keep the eye of your website clients in addition to with powerful slack loading effect, this theme will permit you to display your content from personality. The super striking theme features are customization wealthy and extensive, which makes it easy to utilize. It is possible to vary the layout, the contour, and the structure of the WordPress theme, and build a polished newspaper, magazine or site website. Thanks to the Super Drop Down Menus Including post and links. Your beautiful homepage visitors may go where they want quickly and easily which improves your brand name. Get a revenue stream going with the present day WooCommerce plugin integration, offering a great internet store within minutes of setup. Besides, this theme can be used with a few of the hottest and user-friendly plugins of WordPress: Contact Form 7, allowing one to make multiple contact forms and also a user-friendly form can be included, enabling you to stay in touch with your subscribers. What is more, Hot magazine comes with 600+ Google fonts. Suitable for weblog, magazine and even sports magazine to use. Maxazine is a vigorous and advanced, acutely and pliable, easy to use and intuitive, carefully assembled magazine WordPress theme. The theme was designed to let your content stand out on the screen correctly. When coupled with your unique and eye-catching magazine articles that modern seeming WordPress theme will shine with personality. No limit on many menus that you would like to add on your internet site. In the presence of mega menu. Insert a contact subscribe form for building your email list and apply the social media buttons to grow your social media following. Included contact form 7 permits to develop user-friendly and intuitive forms. Integrated newsletter system automatically handles your sign-ups, un-subscribes, along with bounce-back cleaning. It is possible to vary the layout, the shape, and also the arrangement of this WordPress theme, and even build versatile blog, magazine or paper site. It is packed with a striking Visual Composer plugin that gives you complete control of your page useful layouts. Don't hesitate to get in touch with the Maxazine developers excellent service staff and so they are happy to eliminate any problem. Theme which can be used for magazine, newspaper and blog site. It allows you to highlight specific articles on your homepage, and also to enhance readability using an essential use of photography. It is options panel is quite handy and allows you to edit your landing page color scheme, change your backdrop, build your customized skins and much more. This theme involves a user-friendly, extensible, responsive mega menu which boosts the navigation of your website and helps web page visitors explore your internet site effortlessly. Goodlife can also be advertisement ready WordPress theme, banner ads or ads could be added in customizer or widgets. Goodlife comes with over 20+ shortcodes that can make adding complex page elements that a no-brainer. Goodlife is packed with the new e-commerce plugin -- WooCommerce with full features to generate e-shop and sell your beautiful products worldwide. It is possible to manage multiple touch forms by Touch Kind 7 Plugin. Having an easy to use, modern, modern, sleek and carefully polished port and customization rich theme options, you can immediately create a stylish website utilizing this gorgeous WordPress theme. Herald is a carefully assembled, technologically sophisticated, innovative and fully responsive theme suitable for a magazine, blog and newspaper website. Amazing WordPress theme with several practical, favorite features and having carefully polished, brilliant, innovative, sleek progressive looking design. With integrated higher level control panel you will be in a position to improve the look of menus, smooth menu scrolling, to personalize typography and so forth. Having an easy to use, versatile, precise and carefully created modules and useful theme options, you can instantly build a clean magazine utilizing this WordPress theme. NewsTube is quite a fashionable and conceptually well made, original and graphically impressive, innovative and influential, super flexible and unimaginably pliable premium theme. Additionally, proprietary code promotes code reuse and helps developers release fixes quicker. This theme includes numerous types of excellent components for the striking Visual Composer plugin, which enables you to drag and drop website modules or create your designs. Effective, superb, a wonderfully. Having exceptionally intuitive, versatile, bright and carefully crafted theme modules and interface, you can instantly make a creative internet site using this stylish WordPress theme. The Flex Mag theme is perfectly fitted to a magazine, newspaper or magazine sites. Flex Mag can be a modern and handy, highly potent and extremely, intuitive and user-friendly, carefully constructed WordPress theme. Flex Mag is entirely optimized code and CSS, JS that helps your site load super fast. Flex Mag strength is the sum of convenient features it has. Having a highly intuitive, impressive, bright and carefully polished interface and sophisticated theme alternatives, you can instantly create a smooth website using this polished theme.